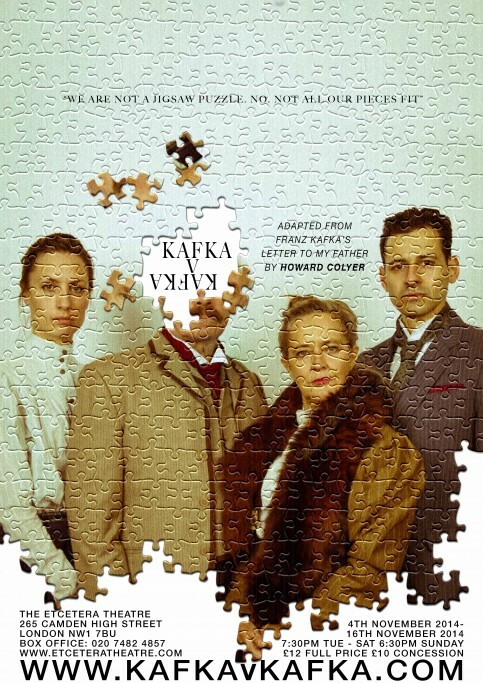 Based on Kafka’s original autobiographical, A Letter to My Farther, Kafka v Kafka has been lovingly dramatized for the stage by playwright Howard Colyer. This production is directed by Jim O’Donnell, Artistic Director of Glimpse Theatre Company and features a bespoke subliminal score by musician Hugh Gavin. Kafka v Kafka is co-produced by Glimpse and Intake Theatre Productions. The original crew photo I used in this poster design was shot by Jason Wilde.